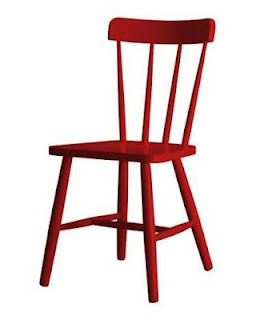 If one thing came out of Clint Eastwood's novel albeit odd speech given at the Republican Convention, it is the cultural tsunami sweeping across the Net known as the empty chair. Was Clint's so called stunt unusual? According to "The Long History of Americans Debating Empty Chairs" by Colin Schultz (Smart News - Aug 31/2012), it would seem this gimmick for debating a political opponent dates back to at least 1924 when Progressive vice-presidential nominee Burton K. Wheeler used the technique to question President Calvin Coolidge. Quoting from Wheeler's biography, Schultz points out just how effective this "gimmick" was at the time. I pulled a vacant chair and addressed it as though it had an occupant. “President Coolidge,” I began, “tell us where you stand on Prohibition.” I went on with rhetorical questions in this vein, pausing after each for a short period. Then I wound up: “There, my friends, is the usual silence that emanates from the White House.” The crowd roared in appreciation. Legendary Hollywood tough guy Clint Eastwood brought down the house with a comic turn Thursday night at the Republican National Convention, telling America it’s time to give a “stellar” businessman a chance to become president and say goodbye to the "attorney." Actor, producer and director Clint Eastwood was revealed as the Republican National Convention's "Mystery Speaker" Thursday night, talking to the crowd about the need for change and supporting presidential candidate Mitt Romney. According to news reports, the fun started shortly after Eastwood's speech started on August 30, 2012 as somebody created the Twitter account @InvisibleObama. On August 31, 2012, Fox News reported just 24 hours after the speech that the account had 17,000 followers. As of this writing (September 9, 2012) it has nearly seventy thousand followers. When Mitt Romney says "Mr. Chairman", do you think he's referring to me? I'm behind Mitt! No seriously. I'm right behind him. Urban Dictionary has wasted no time in defining the term: Eastwooding (verb) the act of pointing your finger or talking to an empty chair. 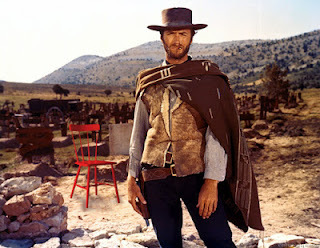 Clint Eastwood spoke to an empty chair at the GOP convention. Then "Eastwooding " was born on Twitter! Just use the hashtag #Eastwooding. Check out the latest on Twitter by looking up the hashtag #Eastwooding. Was Clint's speech good or bad? Roger Ebert, the film critic, wrote, "Clint, my hero, is coming across as sad and pathetic. He didn’t need to do this to himself. It’s unworthy of him." Joel Stein of Time Magazine was quoted by the Orlando Sentinel as saying, "In conventions, that is the best moment I’ve ever been to at a convention. It was insane. How did the Romney campaign allow that to happen?" CTV News reported that Joe Scarborough the conservative host of MSNBC's "Morning Joe" declared that "a great night for Mitt Romney just got sidetracked by Clint Eastwood." Rachel Maddow called the speech the Million Dollar Babble. Whatever the case a new Internet meme was born (see planking or tebowing or horsemanning) and I'm sure pointing to an empty chair will be a staple of online humour for years to come. A meme is "an idea, behavior or style that spreads from person to person within a culture." A meme acts as a unit for carrying cultural ideas, symbols or practices, which can be transmitted from one mind to another through writing, speech, gestures, rituals or other imitable phenomena. Supporters of the concept regard memes as cultural analogues to genes in that they self-replicate, mutate and respond to selective pressures. On Thursday, August 30, 2012, American actor and director Clint Eastwood gave a speech at the Republican National Convention. Eastwood had endorsed Mitt Romney for the 2012 United States presidential election earlier that month. Eastwood spent much of his speech time on a largely improvised routine addressing an empty chair representing President Barack Obama. The speech, broadcast in a prime time slot, was viewed live by about 30 million Americans. It met with a wide array of responses and stirred discussion. Clint Eastwood interviewed an empty chair Thursday night at the RNC, in a speech that took a remarkably maverick tone even without the stunt. Piers Morgan put an empty chair on the air Monday night after U.S. Rep. Todd Akin canceled an interview at the last minute. Ricky Powell (born November 20, 1961) is an American photographer. He is the author of four books.